Donors Fund Named Athletics Positions Three donors have recognized the role coaches play in educating and mentoring W&L students, both in the competitive arena and in the classroom. 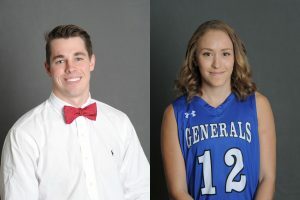 Athletics has long been an integral part of the overall educational mission of Washington and Lee, a university where roughly 40 percent of students play a varsity sport for at least one year and nearly 30 percent graduate as a member of a varsity team. Through major gifts, three donors have recognized the role the coaches play in educating and mentoring all W&L students, both in the competitive arena and in the classroom. 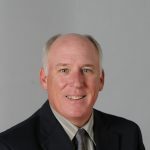 Their support of athletics salaries are recognized in three named positions. The holders of named positions are Jan Hathorn, the Michael F. Walsh Director of Athletics; Peter J. Gyscek, the Thomas R. Wall, IV ’80 Head Golf Coach; and Brandon Uhl, the Norris T. Aldridge Men’s Track and Field Head Coach. Washington and Lee’s physical education department consists of coaches who are members of the College faculty, as well as non-faculty assistant coaches. The faculty coaches hold the rank of either assistant or associate professor of physical education, and have an impact on all undergraduate students since a minimum of four physical education classes are graduation requirements. Kimberly T. Duchossois created an endowment to support competitive salaries for W&L coaches and to name the athletic director position in honor of Mike Walsh, who served as the school’s athletic director from 1989 to 2006. Duchossois is a former member of the W&L Board of Trustees, and her son, Tyler R. Lenczuk ’08, and father, Richard L. Duchossois ’44, competed on W&L varsity teams. W&L athletics flourished under Walsh’s leadership, adding three new varsity sports and upgrading or building nine new athletic facilities. In addition, W&L claimed 103 conference titles and the Generals won nearly 61 percent of their games, claiming the Old Dominion Athletic Conference’s (ODAC) Commissioner’s Cup as the top program in the conference 10 times in the 12 years it was presented under his watch. Additionally, W&L scholar-athletes received 288 All-America citations, 29 athletes were recognized as CoSIDA Academic All-Americans and 10 received the prestigious NCAA Postgraduate Scholarship. Walsh was named to the W&L Athletic Hall of Fame Class of 2013. Hathorn arrived at W&L in the fall of 1987, charged with beginning the women’s soccer and lacrosse programs. In soccer, she was named ODAC Coach of the Year twice and in lacrosse was ODAC Coach of the Year nine times. At the time of her coaching departure, her 277 career lacrosse wins ranked among the most in the history of collegiate women’s lacrosse. Under her leadership as athletic director, the Generals have won more than 60 percent of their athletic contests and 84 conference championships. W&L has been awarded the Dan Wooldridge Champions Cup as the top overall athletic program in the ODAC following all 11 of her years as athletic director. Tom Wall ’80 established an endowment that helps provide competitive salary support. A former member of W&L’s golf team, he served on the W&L Board of Trustees from 2008 to 2016. He and his wife, Nancy, have three children; Kelsey graduated from W&L in 2014 and T.R. in 2015. In his eighth year as the Thomas R. Wall, IV ’80 Head Golf Coach, Pete Gyscek led the men’s team to three straight trips to the NCAA Championship and a runner-up finish at the 2018 NCAA Division III Championship, where a member of his team was the first W&L golfer to earn the individual National Championship. In addition, he has helped his golfers achieve all-conference honors 18 times, with four golfers earning All-America honors. Gyscek started the women’s program in spring 2012. Since then, the women’s team has earned two ODAC titles and has twice qualified for the NCAA Championship, finishing 14th in 2015. Additionally, Gyscek has mentored W&L female golfers to All-America honors four times. For his efforts, Gyscek has been named ODAC Co-Coach of the Year twice. John Robinson ’94 and his wife, Adrian, made a gift in support of the Richard L. Duchossois Center for Athletics to name the head coach of men’s track and field in honor of Norris Aldridge, Robinson’s former coach. As a student, Robinson played varsity soccer and was a member of both the indoor and outdoor track and field teams. He was a co-captain for both sports. Aldridge began his W&L career in 1969 as assistant football and track and field coach, and was elevated to head track and field coach in 1971. A 10-time recipient of the ODAC Coach of the Year award, he led W&L to nine ODAC indoor and outdoor championships while guiding W&L athletes to ODAC championships on 119 occasions. Aldridge led W&L to six undefeated seasons and received the Walt Cormack Award in 1991 for his contributions to the sport of track and field in Virginia. Aldridge began phased retirement in the 2003-04 academic year. 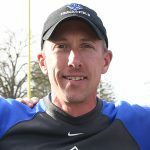 Brandon Uhl, the Norris T. Aldridge Men’s Track and Field Head Coach, is in his eighth year as head coach after serving as an assistant coach for the men’s and women’s programs in 2004, 2006-07 and 2008-11. He also serves as assistant coach with the men’s cross country program. Uhl has led the Generals to three ODAC titles, had one National Champion and nine national qualifiers, and his athletes have won individual ODAC titles 51 times.